Frank Gehry donates $1 million to Los Angeles River schools for arts education. 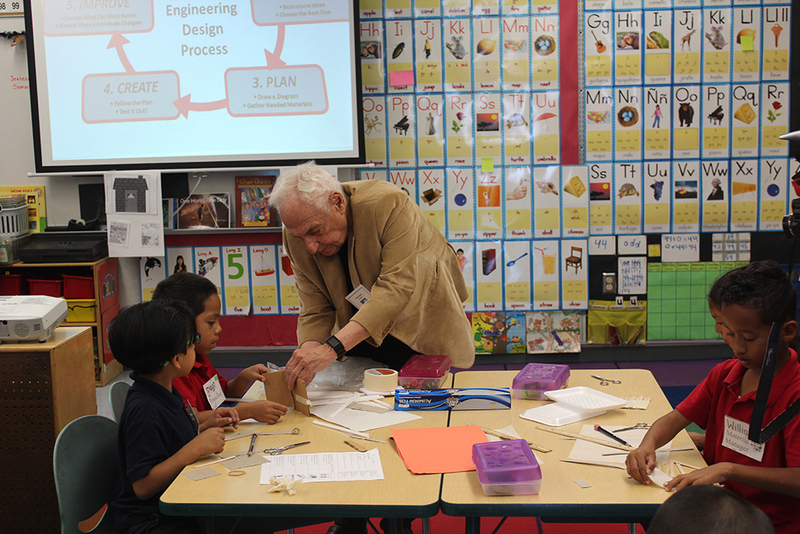 Gehry participating in a first grade arts course (Art Hernandez). Founded in 2014 by Malissa Shriver and Frank Gehry, Turnaround Arts: California is the state chapter of a larger initiative championed by First Lady Michelle Obama. 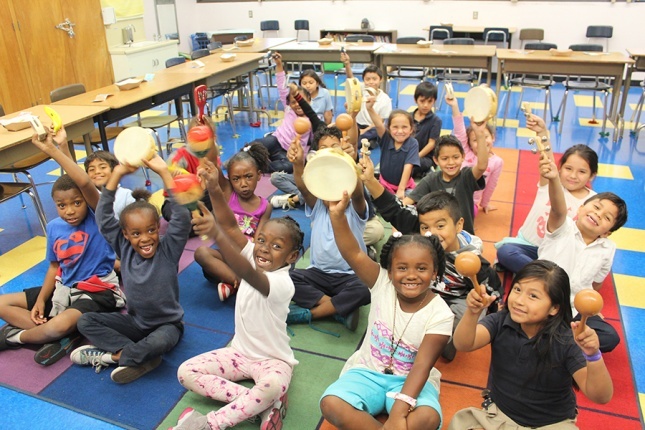 Coordinated by The Kennedy Center, Turnaround Arts strives to improve academic performance and improve schools through the arts by providing arts education to nearly one hundred underperforming schools in seventeen states and Washington D.C.
Los Angeles are students serviced by Turnaround Arts (Turnaround Arts: California). With Gehry’s donation being matched by an anonymous donor, Turnaround Arts: California’s program will be extended to ten more schools in the next five years, with the first of these three participating as of April 16. In total, 17,000 K-8 students in California will now be served by educational programs led by Turnaround Arts.